12:06 AM BBT Tom and Kato and are in the LR. Dina and Kandi are up at the pool table. Tamar comes out with the HoH key. "Who wants to see my HoH room?" 12:08 AM BBT Tamar gets a goodie basket and a letter from her boyfriend. In the letter, he promises that he has been keeping a daily journal for her for when she gets back. He tells her that she is as beautiful when she wakes up as when she is all made up and she has they key to his heart. Her son got super student two days in a row. He tells her that he always knew he could fly but what he didn't know was he was learning to fly so that he can fly into her arms at the exact same time that she flew into his. 12:16 AM BBT Kato and Tom are the first to leave the HoH room after the reveal. As he walks down the spiral stairs Tom says "Fake f'ing people. The other day they were all talking crap about her but now she is the HoH so they are best freaking buddies." 12:20 AM BBT Tom and Kato are downstairs. The rest of the house is hanging out in the HoH room with Tamar. Lolo says that Lolo's letter make them want to fall in love. Tamar says that when she reads the letter she can hear his voice. 12:24 AM BBT Tamar loves her letter and her basket but she wishes the picture of her son was newer. The picture is one that she took when he was 3. She wants to see what he looks like now. 12:26 AM BBT The girls are jealous of Tamar's letter. Lolo says no one can follow that. Kandi says her letter will probably just say we miss you and come home. 12:34 AM BBT Lolo takes Tamar's wine downstairs to open it. She returns with a bunch of disposable cups so that everyone can share in her wine. 12:39 AM BBT Kato and Tom are downstairs. Everyone else is in the HoH. Tamar keeps talking about what she is going to say for her nomination speech so we keep getting WBRB. The feeds come back long enough to hear Natalie say "Nobody likes a sore loser" and the feeds go back to WBRB. 1:15 AM BBT Feeds are still down. 1:36 AM BBT The feeds return. Lolo is removing make up. Kandi, Dina, Ricky, Tamar and Lolo remain up in the HoH. Kandi is talking about a time she had problems with a movie and network. 1:42 AM Kandi is telling Lolo and Kandi about the problems associated with show business. Tamar goes downstairs to get her Melatonin and while rummaging through the hotel bedroom says that Lolo loses everything. She heads to the lounge and Ricky joins her. 1:45 AM BBT Tamar is on Twitter with Ricky in the lounge. He asks her if she knows what it is going on up there. She says she does. He tells her that it must be frustrating when you see what the others don't see and they think that you're crazy. After a pause Ricky says that it is a little over the top for him. She says it's a lot. Ricky "I'm not used to it." Tamar "I am." It appears Ricky and Tamar have recognized the lack of authenticity from the girls in her HoH room. Ricky left the HoH room because of it. 1:53 AM BBT Ricky has gone to bed. Natalie joins him in the hotel bedroom. Ricky and Natalie are looking forward to a full day of being chill. They don't have to worry until the next HoH. They have to make sure that Kandi, Dina, and whichever guy is left from Tom and Kato don't win HoH. Natalie thinks it will be Tom because Tamar has a soft spot for him. 2:00 AM BBT Everyone has left the HoH room to get ready for bed. Tamar is in the WA removing her makeup. 2:06 AM BBT Tamar and Dina are in the KT looking for a snack. Dina heads out into the BY where it is raining. She waves at the camera and says goodnight. She heads back inside. Tamar talks to the camera and says "I'm HoH. First girl of the season." Dina "That's right, I didn't think about." 2:15 AM BBT All 4 cameras on the Ricky in bed. Tamar is trying to get Natalie to help her find something good to eat. She says she wants something cheesy and buttery. Ricky suggest popcorn and she turns it down. He then suggests grilled cheese and Tamar says no because she doesn't want bread. Tamar and Natalie leave the room but the cameras remain on Ricky. 2:21 AM BBT Natalie and Tamar are looking through the fridge looking for something for Tamar to eat. Natalie "there is a hella lot of food in here". Tamar turns down everything that Natalie suggests. Tamar decides she is going to have her Ramen Noodles. 2:25 AM BBT Tamar, Natalie and Lolo are hanging out in the KT. 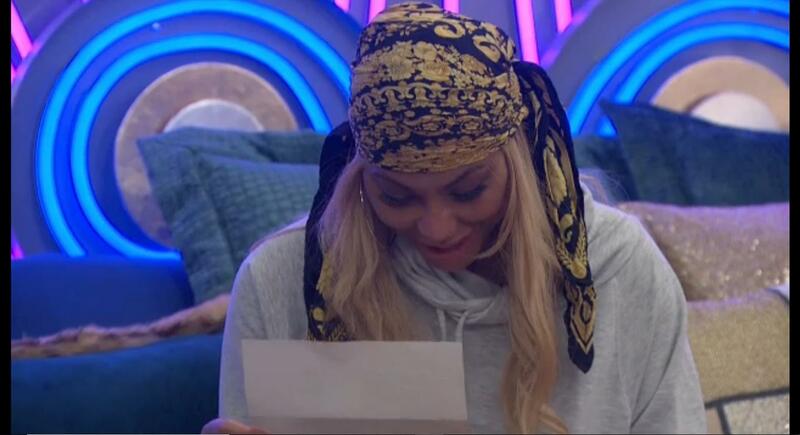 Natalie reads Tamar her letter out loud. Dina is called to the DR downstairs. 2:28 AM BBT Lolo wants a waffle. Tamar tells her "No you do not, do not chew it." Lolo says that Tamar's boyfriend is so romantic that she is going to need him to write her vows. 2:30 AM BBT Tamar says that her boyfriend's body gets hot every single time she says that she is cold. She says it is absolutely crazy. 2:39 AM BBT Dina, Lolo, Tamar, Kandi and Natalie are all hanging out in the KT. Natalie has been reading Tamar's letter over and over again while Tamar cooks her Ramen Noodles. 2:48 AM BBT All 4 feeds are on Ricky again as the girls in the KT discuss the nutritional value of the different foods in the house. 2:55 AM BBT The girls have left the KT and are getting ready for bed. 2:58 AM BBT Tamar decides to sleep downstairs instead of the HoH. Tamar thanks Ricky for his friendship and she thanks the Holy Ghost. Lolo thanks her for winning the HoH in the clutch. 3:01 AM BBT Feed 1 show Kato and Tom asleep in the Celebrity Big Brother bedroom with the lights out. Feed 2 shows Kandi in the dark bedroom. She is kneeling next to the bed. She appears to be praying. Feeds 3 and 4 are on the Ricky, Lolo, Natalie and Tamar in the hotel bedroom. Lolo reads from the bible and they thank God for having their back. 3:05 AM BBT Natalie tells Tamar that she is going to regret it if she doesn't go to sleep. "Girl, we not sleepy Beans. Beans, tell her that we are not sleepy." The girls finally all lay down and say goodnight. 3:09 AM BBT Everyone is finally in bed and all the lights are off. 7:17 AM BBT Kato gets up and heads to the WC. He heads to the KT to get a drink. 7:30 AM BBT BB turns the KT lights on. Kato is standing at the island getting a drink. He drinks it slowly, like he is deep in thought. 7:39 AM BBT Kato has rummaged around the fridge but hasn't settled on anything. He closes up a box of cereal that was left open and reads the back of the box. 7:45 AM BBT Kato stretches his arms out in the KT while he reheats he beverage in the microwave. He heads to the lounge to Twitter. 8:02 AM BBT Kato heads back to the WC and says "now I can go". 8:10 AM BBT Kato remains the only one awake. He brushes his teeth and then proceeds to shave. 8:19 AM BBT Kato blows his nose and goes to throw the tissue in the WA trash can. He misses and it falls to the floor next to the trash but Kato doesn't notice. he then heads back to the KT to make some fresh coffee. 8:31 AM BBT Kato exits the WC, washes his hands, and heads back to bed. He hits something with his leg or his foot int he dark. "F**k. Da*n it." He decides to go back to the SR to change out his battery and picks through the piles of laundered clothes looking for his. He takes his clothes back to the Celebrity Building bedroom and set them down. He then crawls back into bed. 9:17 AM BBT The feeds return. Tom is talking to Kandi in the Celebrity Building Bedroom. He jokes to her "What do you say; me, you, Tamar, Ricky, Kato final 5." She laughs at him. He says "Chess move, make it happen." He laughs and walks out of the room. 9:18 AM BBT Kandi tells Kato that BB needs to stop waking them up before 10:00. He tells her that the camera is zoomed right down on her, so she might as well tell BB directly. 9:20 AM BBT Kato is in the 5th Ave kitchen and hits a spoon against his coffee cup. He says "Coffee gram for Ms. Dina, coffee gram for Ms. 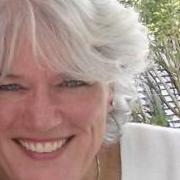 Dina." Ricky walks by and tells him to leave her alone, she is getting up. Kato replies "I am getting her up on a positive note." Ricky "Doesn't seem very positive." Kato "A telegram? Who doesn't want to get a telegram in the morning?" Ricky "When you're sleeping it's kinda tough." 9:22 AM BBT Tom and Kato are talking in the dining room. Tom is in a weird mood. He tells Kato he is going to drink a lot more coffee than normal. He then brings the underwear he has in his hand to his face like he is smelling it. "I love the smell of fresh napalm in the morning." 9:23 AM BBT In the KT, Tom tells Kato not to be surprise if he morphs into a different person the next couple days. Kato "Next couple days, try tomorrow." 9:26 AM BBT Kato and Tom agree that they have been defeated but they aren't going to act defeated. Tom is called to the downstairs HoH. Kato goes to the camera in the 5th Ave Bedroom and looks right at it. He asks BB if they can put his suitcase in the SR so he can start packing. He would like to go ahead and get started. 9:30 AM BBT Lolo, Tamar and Natalie are not getting out of bed just yet, but they are awake. 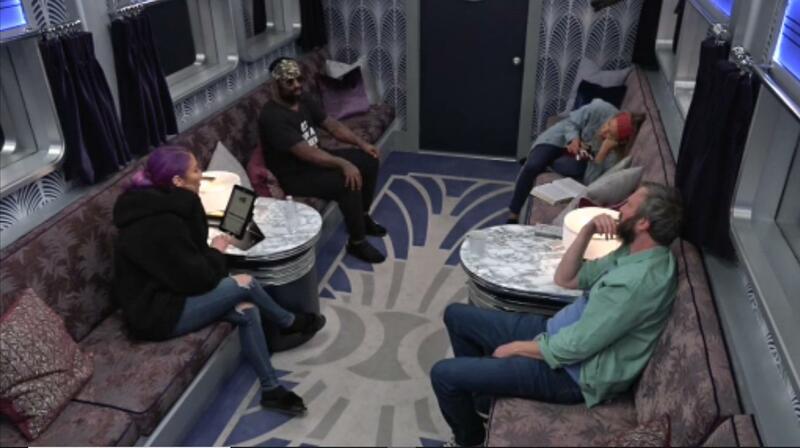 They are discussing the different physical comps that the first season of Celebrity Big Brother had hoping that tomorrow's HoH will be physical. Natalie says it has to be something physical since most of the upcoming comps will probably be all luck, no brain needed. 9:33 AM BBT Dina and Kato are whispering in the 5th Ave bedroom. He tells her that Natalie and Lolo are clueless that Tamar and Ricky are a pair working together. She mentions something about Kato being a target now and that he never trusted her. Dina dodge further conversation by going to the SR. Ricky follows her in and asks if Kato is bothering her. She says she already told him to leave her alone. He tells her to say it again but say it so others can hear it. 9:38 AM BBT Ricky goes to sit at the dining room table while Kato is in the KT. Ricky asks how Kato is doing. He says he is doing really good. Ricky "Staying positive?" Kato "As positive as I can be." 9:42 AM BBT Kato is in the KT making tea, hoping the fiber will help him since his stomach is a mess right now. Lolo and Natalie are up and making their bed. Tamar is still in bed and has covered her face with her blanket to keep out the light. 9:47 AM BBT Natalie, Dina, Lolo, and Ricky are sitting in the 5th Ave. Bedroom. Kandi walks in there. She tells them that Tom and Kato are walking around making jokes and such about being on the block. They think it is just how they respond to knowing they are in a bad spot. 9:53 AM BBT BB gets stern "Tamar, I said it was time to get up for the day." Natalie says that was stern this morning. They have been pretty lenient and Tamar gets an extra hour every day. 9:58 AM BBT Lolo and Natalie are in the KT. Lolo says that it isn't fair that they have mental comps coming up and Tamar gets an extra hour every single morning. She is going to start making Tamar get up with them. Lolo is trying to think of things that can wake up the woman who can sleep through a tornado. 10:01 AM BBT Dina, Ricky and Kandi are in the 5th Ave. bedroom. Dina says that Kato is grasping at straws now. Kandi "He is defeated." Dina "But why is picking on me?" Kandi "He isn't picking on you. He was joking with you. 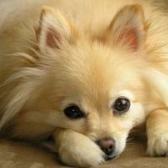 You wouldn't get up so he was playing with you." Kandi walks away for a moment. Dina is annoyed and tells Ricky that Kandi has a soft spot for him. Kandi comes back in and tells Dina that Kato has not been picking on her. Dina tells her that he has gotten really dark and has been mean. Kandi says whatever and walks away again. Dina asks Ricky why Kandi is sticking up for that. Ricky replies "Good question". 10:12 AM BBT Natalie and Lolo are at the dining room table looking at the memory wall. Lolo says that Ari won the face competition because she did everyone's make up. Natalie and Lolo joke that they need to start doing everyone's make up. 10:24 AM BBT Feed 1 and 2 are on Natalie and Dina in the dining room. Natalie says that Joey was getting frustrated right before he left because he was left to do almost all the cooking. They wish they had asked him what was up with the blow dryer thing. Feeds 3 and 4 are on Dina and Ricky talking in the 5th Ave bedroom. 10:40 AM BBT The 4 feeds have been following Natalie and Lolo. Natalie is ready to work out and sitting on the bed waiting for Lolo. Lolo tells her that the camera show her love when she changes. The camera always turn away when she changes under the covers. 10:41 AM BBT In the hotel bedroom, Lolo is trying to get Natalie to help her figure out some kind of little signature for when the camera focuses on her on the start line when she races. Natalie's signature was to blow kisses before her matches. Lolo says that among all those tough guys, that was bad a**. 10:48 AM BBT Dina, Kandi and Kato are in the KT. Kato is asking if any of the equipment is being used in the gym. Kandi tells him that Tamar, Lolo and Natalie are all on their way up there very soon. Kato tells Kandi and Dina that Tamar's smartest move would be to put up Lolo and Natalie and break up that pair. She will never do it, but it would be a shocking TV move that makes total sense. 10:54 AM BBT Lolo, Natalie and Tamar are in the hotel bedroom. They are all getting ready to go to the gym and work out. They are trying to figure out what the next HoH is going to be. Tamar says it will probably be something awesome like the red carpet one because she won't be able to play. 11:00 AM BBT Feeds 1 and 2 are on Kato and Tom in the LR. Tom and Kato take turns ironing their clothes. Feeds 3 and 4 are on Lolo, Natalie and Ricky working out in the gym. 11:02 AM BBT Tamar has joined Lolo and Natalie in the gym. They tell Tamar that Kandi is playing it safe by not ruffling any feathers. Lolo "But she is ruffling feathers. She was giving Kato the answers last night. She acts like she was just being nice." Lolo tells them that Kandi is not stupid. Tamar "She was up in her feelings last night. Today she is back." 11:10 AM BBT In the gym, Natalie is timing Lolo on her treadmill sets, which includes 8 second bursts. Natalie gives her a count down to start and a count down to stop. She then times a minute and a half to rest. 11:13 AM BBT Tamar asks Lolo if she said to herself she was going to break the world record when she broke the world record. Lolo says "I didn't break the world record, I broke the American record. It made me like the 2nd or 3rd fastest in the history but for the U. S. I was at point the fastest American in hurdles ever." She was so pi**ed because she had a bad round the night before. She screwed up her race and almost didn't advance. So, she was mad and the only thing she could think of was execution. That's the race where she won the gold. 11:20 AM BBT Tamar, Natalie, Lolo and Ricky are in the gym. Lolo asks her about production on her other shows so the feeds switch to Tom who is in the KT cutting an onion. 11:27 AM BBT In the gym, Natalie and Tamar are talking about Dina. Tamar says Dina is tired of Kato hitting on her. It is tiring. Natalie says that Kato then tried to turn it around like she was hitting on him and his girlfriend won't like it. They then start talking about his girlfriend being a kid and the feeds switch to Kandi and Dina in the lounge. 11:39 AM BBT The feeds have been in and out as the ladies in the gym talk about what they are going to do when they are out of the house and who they are going to do it with. Tamar tells Natalie and Lolo that Kato boils her blood. He ain't that good. She is still upset about his nomination speech when he said he stepped on shrimp and basil when he never did. 11:49 AM BBT Things are kind of uneventful in the house. Lolo, Tamar and Natalie are working out in the gym while Ricky does yoga. Dina, Tom, Kato and Randi are just sitting around downstairs. 11:53 AM BBT Tom is going to take a nap. Lolo tells Natalie and Tamar that she needs to take it easy. Tomorrow is a big day and she doesn't want to tap herself out today in case it is physical. 12:01 PM BBT Lolo is telling Natalie and Tamar that she was only able to come in the house because her coach and manager put together a work out packet for her. With that and weights, she could do the show. She says that she is in the last 10 meters of her career and everything else can wait. She wanted to do it though because her sponsorship situation is not good. 12:09 PM BBT Lolo and Natalie tell Tamar that they think the nominations are supposed to be at 1 PM. 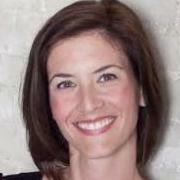 Natalie says that Kato has been picking on Dina. He hid her sweater in the SR, put Frito's under her pillow, and Dina adds that she thinks he took her glasses too. Natalie, Lolo and Tamar are trying to help her find them. Natalie goes to Kato and asks him. He tells her to go and look under her microphone. They may be hidden there. Natalie comes back and asks where her microphone is. "Her microphone is missing too? She is missing her microphone and her glasses? I have no idea." 12:15 PM BBT In the celebrity building bedroom Tom and Kato are trying to figure out how to stay. Tom thinks they might be able to convince Tamar, through other people like Kandi, that the smart move is to split up Lolo and Natalie. Tom says trying real hard to win right now is going to make them look like threats. If they act like they don't give a da*n then they may both be here next week. 12:26 PM BBT Things are pretty quiet. Kandi is resting in the HoH listening to Tamar's music. Dina are hanging out in the 5th Ave. bedroom talking about the people they miss outside of the house. Dina finds that Joey has 8 bottles of water hiding next to his bed. 12:39 PM BBT Kandi and Tamar are talking in the HoH Bathroom. Kandi is trying to figure out how it is going to work next week. Kandi tells her that she or Dina will end up on the block next to whichever is left from Tom and Kato. There is a good chance that Kandi goes home, especially if Dina wins the veto. Tamar tells her that Natalie and Lolo would not put her up. Kandi doesn't seem to believe her. 12:45 PM BBT Dina comes to the HoH looking at the monitor to see if Kato moved her glasses somewhere. Kandi says she doesn't think Kato took them. Dina says she finds Frito's under her pillow in the morning. Kato took her glasses. He hid her microphone under her suitcase. BB had to tell her where they were. She is hoping using the HoH monitor she will see him move the glasses. 12:52 PM BBT Feeds 1 and 2 are on Dina and Kandi looking for Dina's glasses. She is convinced that Kato has taken them because of where she found her mic this morning. Kandi tells her it probably fell there when she moved and opened her suitcase. Kandi is not convinced that Kato is hiding her stuff from her. Feeds 3 and 4 are on Kato on the elliptical in the gym. 1:00 PM BBT Feeds 1 and 2 are on Kandi and Dina playing pool. Feeds 3 and 4 are on Ricky, Lolo and Natalie in the hotel bedroom. They are trying to determine if they can throw the next HoH comp and count on their votes to keep them safe. Ricky says that Dina doesn't trust them. Dina may put them up. 1:06 PM BBT Tamar and Kandi are talking about Tamar's speech. Tamar doesn't want to be mean. But, she wants to stick it to them. "How do you stick it to someone without sticking someone?" 1:11 AM BBT Lolo is in the shower talking to Kandi and Tamar. She tells them that Bolt, the Jamaican sprinter, is the nicest guy. He handles his fame very well. Even though he is too big for the sport, he has never acted like he was too big for the sport. 1:20 PM BBT Kato and Tom are in the Celebrity Building Bedroom. They are trying to come up with a Hail Mary to save them. At one point the entertain trying to convince Tamar that they have a power that can take them both off the block and force her to put up 2 other. At the end of it all, the just decide that they are both just as likely to go and both of them will fight for the veto. Whichever one stays after tomorrow will probably leave in 4 days anyway. 1:28 PM BBT BB calls Tamar to the Downstairs DR. Tamar is still in the middle of putting on her make up. She calls out to BB that she needs 3 more minutes. Just 3 more. She has no idea what is wrong with her today. "I'm sorry. Just 3 more minutes. I'm sorry." 1:30 PM BBT Kato and Tom continue to talk in the bedroom. They are talking but both of them have their eyes closed. Tom "Sometimes the good does not prevail." 1:34 P BBT Kato has left Tom to rest and is now talking to Dina in the KT. He reminds her that Tamar's 20 year relationship is always going to trump knowing someone for 18 days. Don't forget that. Meanwhile, Tamar has not gone to the DR yet because she misplaced her lashes. 1:43 PM BBT The feeds come back. Tamar is about to head to the DR. The HGs expect the nomination ceremony to be very soon. 1:56 PM BBT Natalie, Ricky and Lolo are in the hotel bedroom. As they wait for the nomination ceremony, they are going over their days. Tom and Kato are walking around joking and saying that their big brother life came to an end because Kato didn't push the button one second sooner. Tom in jest "Why are they walking around so proud of themselves when they just got a lucky break?" Kato jokingly agrees. 2:03PM BBT Tom and Kato talking. They are talking about that winning BB would be like Ricky's Super Bowl. They talk about the Super Bowl. Kato says he doesn't even know who is playing today. He thinks maybe the Saints are. 2:11PM BBT Tom and Kato request to speak with a producer before the nom ceremony. Tom wants it so that Tamar can not say anything as fact that isn't true in her speech. 2:21PM BBT Tom was called to the DR as he requested. Kato is playing pool waiting for his turn. Tom comes out of the DR and sends Kato in and tells him they will explain to him if she starts on what he is supposed to do. We hear Kato say hello and a female say hello back. All 4 cams on Tom and the pool table. 2:25PM BBT We have reels for nominations. 3:15PM BBT Kato and Tom talking. Kato says that by the speech it is him they are picking. Tom asks if there is a comp today. Kato says that there should be since eviction is tomorrow. In the KT Tamar is wearing a sorry not sorry t-shirt. She says they should have a HOH party. 3:21PM BBT Tamar and Lolo want to order food for today. Tamar says she only eats meat from Gelson's. Lolo says they wanted breaded shrimp - she asks if they are from Trader Joes and Tamar says "hell no". They want winds. They are trying to decide who is ordering what food. 3:27PM BBT Tamar is walking around the house yelling that she is starving but makes no effort to cook anything. She says why can't BB just order them some pizza. She doesn't like frozen. Her and Lolo have finished their list of Super Bowl food they would like. 4:20 PM BBT Feeds 1 and 2 are on Ricky and Tom in the lounge. Ricky is walking Tom through how to play Craps. feeds 3 and 4 show Dina, Lolo, Kandi and Natalie hanging out in the KT. General chit chat. 4:25 PM BBT Kandi is grossing Lolo out by telling her how they do Lasik eye surgery. It is done incredibly fast, like 5 minutes each eye. But you stay awake during it and they force your eye to stay open. You see the red light coming that is going to cut your eye. 4:35 PM BBT Tom and Ricky continue to chat in the lounge. Tom says he was glad that Kandi stayed. Both he and Ricky feel like Joey knew he was leaving. Meanwhile Kandi, Dina, Tamar and Lolo talk about places they have been outside the house. 4:42 PM BBT Natalie and Lolo have joined Tom and Ricky in the lounge. General talk about the Superbowl and football in general. 4:46 PM BBT BB tells the HGs to check the SR. The HGs go running. 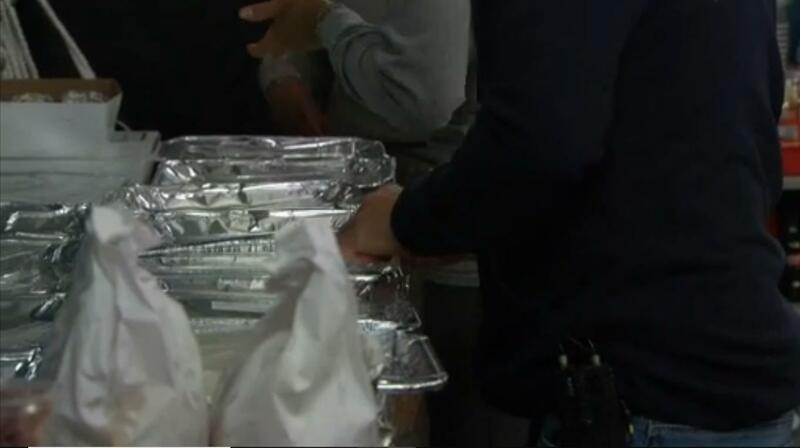 BB has provided them with a Super Bowl Feast including a vast assortment of Mexican Food. 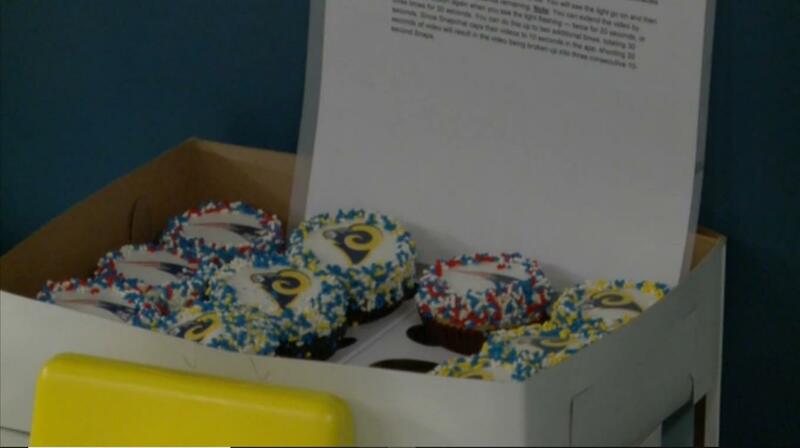 4:56 PM BBT The HGs are all enjoying a Super Bowl feast, courtesy of BB. Everyone is talking to everyone and everyone is getting along. 5:05 PM BBT Lolo, Natalie, Ricky, Dina and Tamar have all gone off the hotel bedroom to talk while laying in bed. Tom and Kandi continue to talk in the dining room. They are discussing the food that remains in the SR. They are going to need to bring all of that in or BB might take it all away. 5:10 PM BBT Kato comes into the the KT. Tom asks him to play pool. "I got to do something or I may lose my mind. Maybe that has already happened, but I have to do something." Kandi laughs at him. 5:11 PM BBT Lolo tells the others that ESPN gave her bomb a** Super Bowl tickets once but she had to give them away so she can go to Russia and train for the Olympic trials. 5:15 PM BBT The girls in the hotel bedroom are talking about their first date with their significant other. Tamar and her boyfriend's first date was at his house and they sat in his living room and talked for 13 hours. Natalie's husband cooked her dinner at his place because he was too poor at the time to take her out to eat. She says that sometimes she wonders if she deserves him. 5:18 PM BBT Ricky, Lolo, Natalie, and Tamar continue to chat in the bedroom. They talk about feeling guilty for not mingling but they just don't feel like it. Tamar says it's their day off, for real. In fact, production probably isn't even here today. They look towards the cameras and the camera moves in reply. They laugh saying they bet they are watching the Super Bowl though. 5:24 PM BBT Everyone is pretty relaxed. Kato and Tom are playing pool. 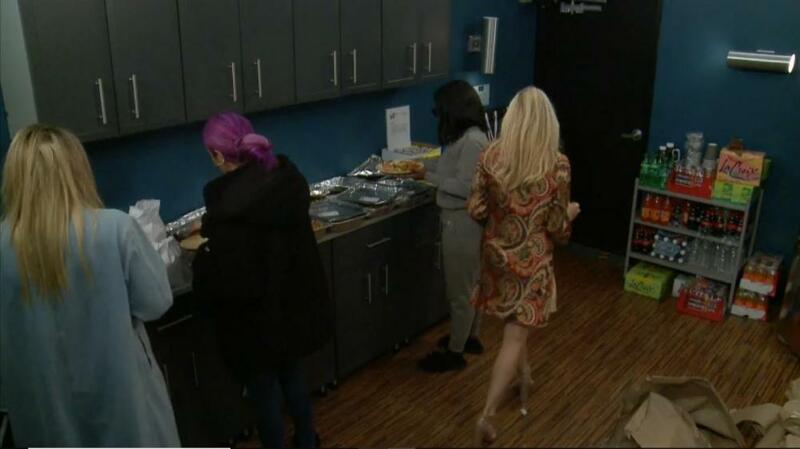 Kandi and Dina chat in the KT, most likely while putting away the excess food from their party. The rest are hanging out in the hotel bedroom. 5:26 PM BBT Tamar looks to the camera and asks if this season is better or was last season. They discuss whether or not BB knew their season was going to be so crazy. Tamar "No. Lolo do you think BB knew you were going to be the pop off queen?" Lolo "I'm not the pop off queen." "Tamar "Yes you are, wear that crown." 6:01PM BBT: Tom and Kato have been playing pool upstairs, still chatting about finding ways for one of them to get to the end. They are heading downstairs to where they thought they were going to chat with Dina in the lounge, but she gave them the slip and went to lay down. Or so they thought - she only went to the WR. 6:09PM BBT: Dina goes up to the HOHR making noise, where Kandi is trying to nap. Tom and Kato are down in their BR where Tom is like the Energizer Bunny of future BB chess moves, going on and on. 6:23PM BBT: Most of the house is asleep. Natalie is in bed reading her Bible. 6:26PM BBT: Ricky asks Natalie about her Big Book and how there was a movie made about it. She's surprised. He then asks her questions about the book and meetings, and does everyone receive them when they show up? She tries to explain how there's a 97% death rate from this disease and only 3% make it because they don't admit it. 6:29PM BBT: Natalie tells Ricky how messy the KT is and wonder what they're going to do with all that food. 6:33PM BBT: Ricky wonders if his wife knows that their are live feeds. Natalie explains to him that Julie advertises it during the show, so she has to know. 6:43PM BBT: Lolo wakes up and joins Ricky and Natalie's chat. They wonder if CBB was advertised during the Super Bowl. 6:49PM BBT: Lolo is hoping that her social media team is taking her tweets and putting them on her page, along with the appropriate hash tags. 7:03PM BBT: Ricky, Lolo and Natalie come out of their room. Lolo goes upstairs and said she wants to see her charts. Ricky goes up and tells her he'll teach her how. 7:13PM BBT: Tom woke up and headed to the WR and then to the lounge to tweet. Upstairs, Tamar, Lolo, and Natalie are getting planets read by Ricky. 7:16PM BBT: Tom has a one sided chat in the lounge with his parents about what's going on in the house and that it may be his last night there. He explains that the perspective is very different in the house than watching from the outside. 7:20PM BBT: Tom comes out and talks to Tamar in the KT while she cooks dinner. He told her that he ate an entire jar of dip, and then heads upstairs to play on the keyboard. 7:29PM BBT: Tamar begs Natalie to come downstairs to keep her company while she eats her quesadillas. 7:38PM BBT: Tamar and Natalie are in the KT talking about their SO's. They are going down the list of who talked about their partners a lot. Ryan, Jonathan, Mooch, etc. 7:41PM BBT: Tamar questions if Kato actually has a girlfriend. She thinks that that is a lie. 7:43PM BBT: Natalie and Tamar tell the cameras to make sure they tune in tomorrow night because it's going to be a big show. They know that they're being watched because the cameras are focused on them so they're trying to keep the conversation going. 7:49PM BBT: Tom explains to Natalie and Tamar in the KT about how George Orwell wrote the book 1984, which coined the phrase Big Brother. This is why they have the owl named Orwell. Tamar was impressed with that nugget of info. 7:53PM BBT: Ricky joins Tamar and Natalie in the KT and lets them know the positives of licorice and how it's good for digestion because it's a great herb. 7:54PM BBT: Tom rejoins Kato in the BR and tells him that he spent 7 minutes in the KT. Kato questions him about what's going on in the house. 7:58PM BBT: Kato and Tom talk about getting their sunglasses. Tom says he's just going to pack his essentials in his carry on and leave everything else in the drawers. Kato tells him he needs to pack everything in case he's evicted. 8:06PM BBT: Dina and Kandi wake up and they HG tease them that it's the next day and it's time for the comp. 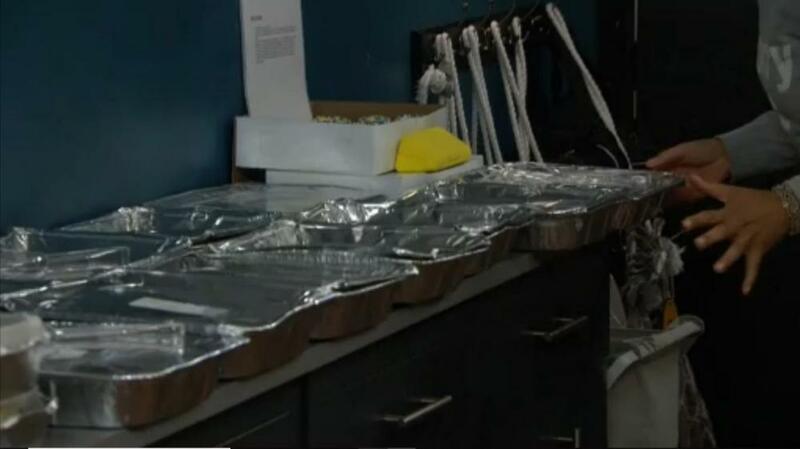 8:15PM BBT: Kato and Tom are in the BR starting to pack their suitcases. 8:26PM BBT: Natalie, Kandi, Tamar and Lolo are starting to play cards at the KT table. 8:38PM BBT: The feeds were on WBRB for about 20 minutes. They've been interspersed with interruptions all night, breaking in every few minutes. They're back and Ricky is cleaning the KT with the girls still at the table. 8:57PM BBT: Tamar is talking with the girls and Ricky at the KT table about freezing her eggs. Lolo said that she wants to know more about that, but doesn't want anything mechanical to take away her virginity. They say it's not much more than the gyno appts and pap smear. She said she hasn't had any of that. Feeds return. Ladies are talking about freezing their eggs. Natalie says she doesn't think she wants kids. Cameras are going back and forth with WBRB every few seconds. Nothing seems to be happening in the house, Kato and Tom are in one of the bedrooms talking, everyone else is in the kitchen. Tamar and Kandi say the price for the entire procedure of egg freezing and implant is about 25K. Lolo tells them that she does not do pap smears in order to preserve her hymen, she does not want a machine used. Tom and Kato are talking about getting their stuff out of the house. They agree that they will make sure whoever leaves gets all their belongings with the last one of them out. They decide to go play billiards. As they pass the group in the kitchen they ask the others what's up. The others do answer. Tom and Kato are playing billiards, Tom tells Kato that when he is with his friends who are also comedians, conversations are about heavy topics with humor added. Tom says athletes and singers have very different conversations, but things like food and sleep are common. Kato adds, breathing air, drinking water and being earthlings. Tom was surprised that multiple people in the house had no idea what George Orwell's book, 1984 was and where the term Big Brother was penned. Kato says not to embarrass him, he is not sure he knows much about it either. Tom says the book is about futuristic time. They mention a few other works that had a futuristic theme. Kato says it will be hard to go until Friday. When Tom says Ricky is wondering what he has gotten into Kato disagrees. He says Ricky is like the king in the group of girls. Tom says there are only three males left in the house, men have been sent out first. The conversation downstairs is loud, but we can't hear what is being said, sounds like general loud chatter about non game related topics. Kato tells Tom he is leaving him to stay until Friday. Tom gets angle advice from Kato, they are talking about where to strike the balls on the table with the cue ball to manipulate where they go. They wonder if anything has happened in the world while they have been in the house Kato says if it were an assassination or something like that the show would have stopped. Tom says he was thinking more like Apple went out of business, or the guy went back to Verizon.